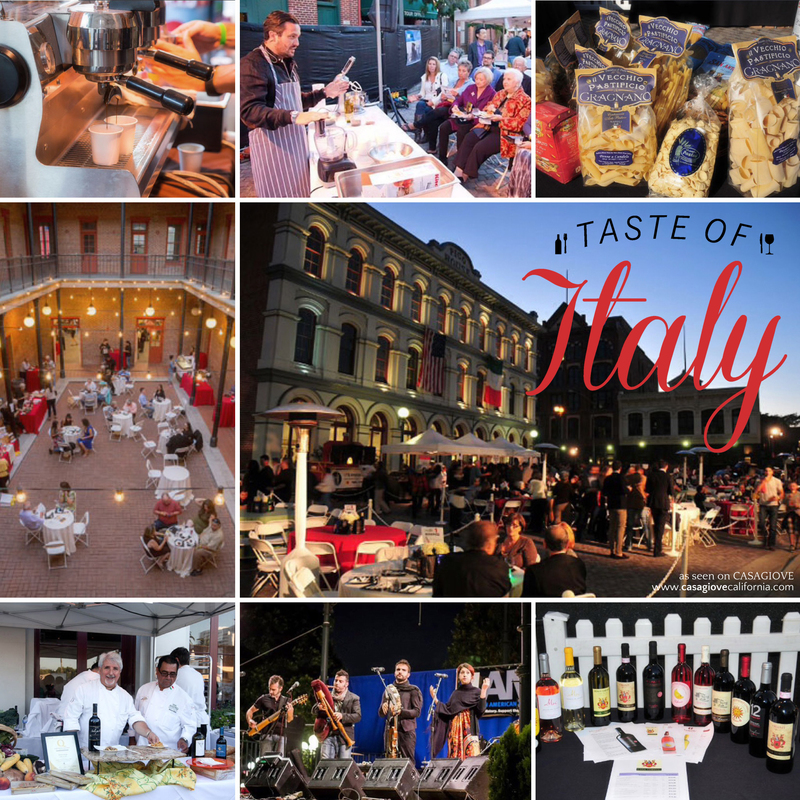 Taste of Italy on October 10—Part of historic Downtown Los Angeles is transformed into a charming Italian piazza where everyone can mix, mingle and of course, eat and drink! Just one of the Italian Events this coming weekend. Mark your calendars! 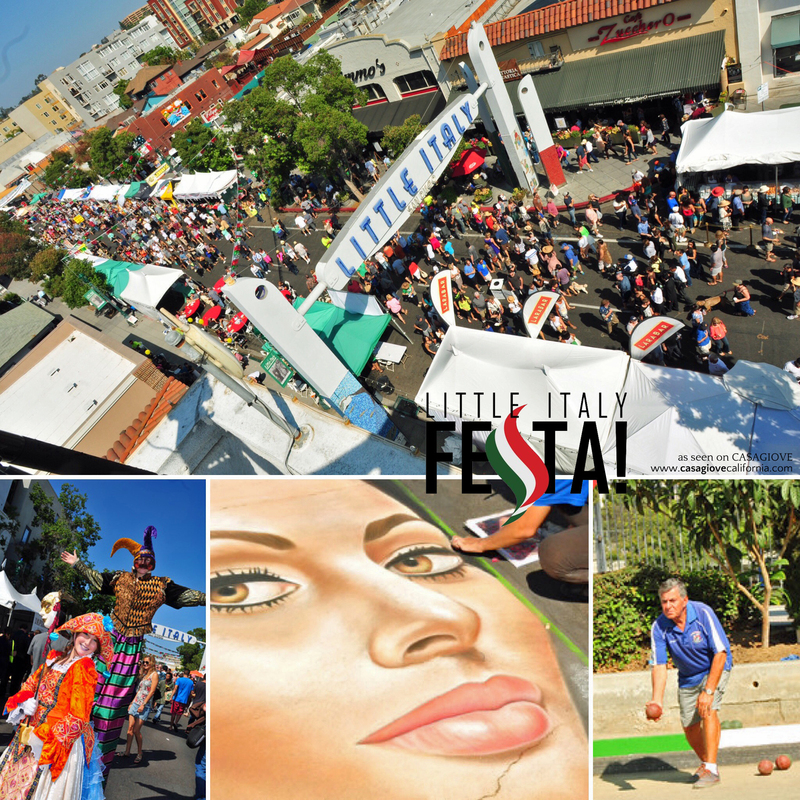 There is a lot of Italian fun to be had this coming weekend: October 10 & 11th! I was hoping to be in Italy for my birthday, but alas, I couldn’t make it work this year. Luckily for me, however, October is Italian Heritage Month, and that means that several organizations around Southern California are putting on events or feste— essentially bringing a little bit of Italy to me (and also you). Io ci vado. I am going. Perché non venite pure voi? Why don’t you all come too? Over 40 fine restaurants, 100 wines, live entertainment, celebrity chefs and lots of Italophiles come together to celebrate Italian gastronomy and Italian Americans in Los Angeles. 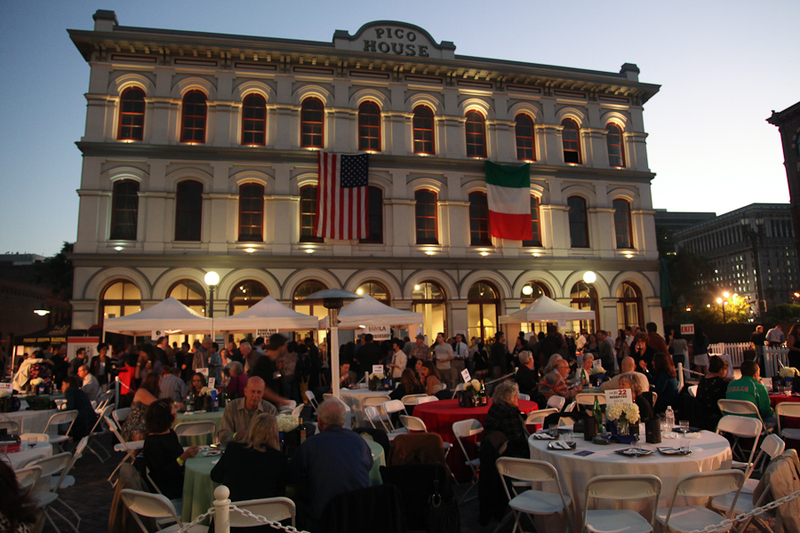 Pico House, in historic downtown LA, gets transformed into a charming Italian Piazza for just the right atmosfera. The event benefits the Italian American Museum of Los Angeles— IAMLA— a new museum that celebrates the Italian American experience and contributions of Italian Americans to Los Angeles and Southern California. Already a hub for Italian cuisine and culture, the entire neighborhood really pulls out all the stops for Festa— making it the largest single-day Italian American festival in the country. Participants can enjoy a wide variety of Italian specialities served al fresco, music and performances on three stages, cooking demonstrations, Italian chalk art painting, an Italian Motorsports Show, a large Kid Fun Zone, and even a Bocce Ball tournament. Ci vediamo lì! See you there!